Ah, the incredible, edible egg. Not only are eggs delicious and -- thanks to their unique chemistry -- an essential baking ingredient, eggs are also an extremely varied food, coming from all sorts of sources and in a variety of colors. 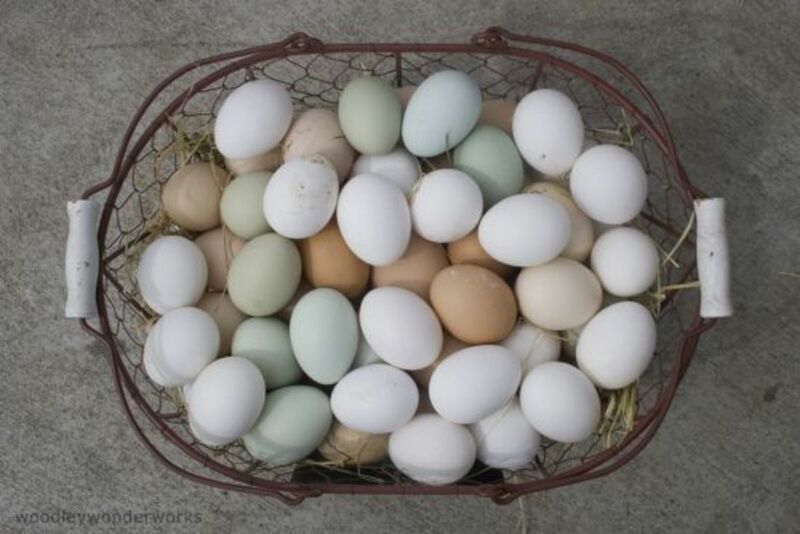 Colors of eggs, while often regarded as an important element of purchasing eggs, is actually not all that important. Both white and brown eggs can be produced naturally; which are produced depends almost entirely on local demand. In fact, a study showed that blue eggs are probably some of the best and most delicious, but shoppers are hesitant to purchase them because they appear to be chemically enhanced. Varieties of eggs are extremely diverse. 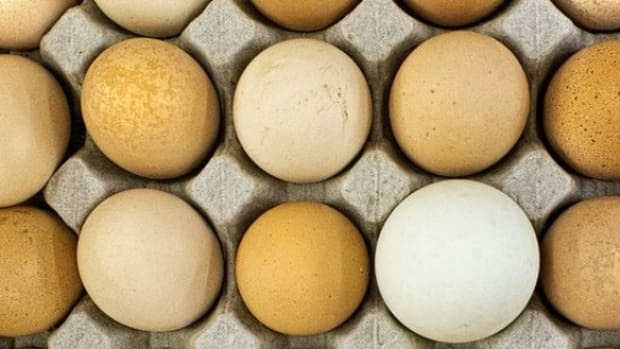 While chicken eggs are most common, duck eggs, quail eggs and even ostrich eggs can be bought for consumption. 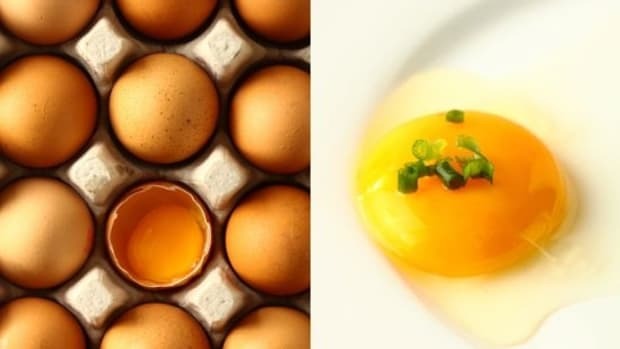 Each type of egg has a distinct flavor and chemistry. Duck eggs cannot usually be used in traditional baking recipes in place of chicken eggs, but they&apos;re great poached on toast. Quail eggs are very small, but quickly cooked or even raw (organic only, of course! 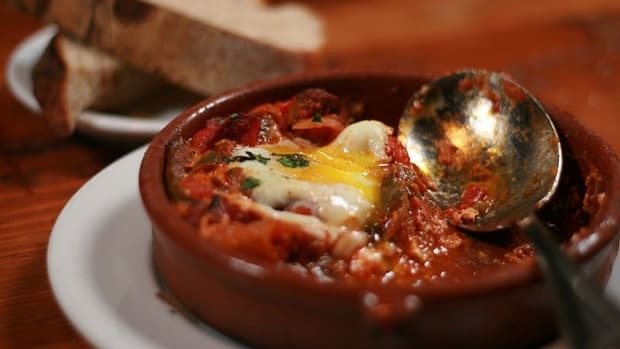 ), they&apos;re a delicious addition to certain dishes like steak tartare. 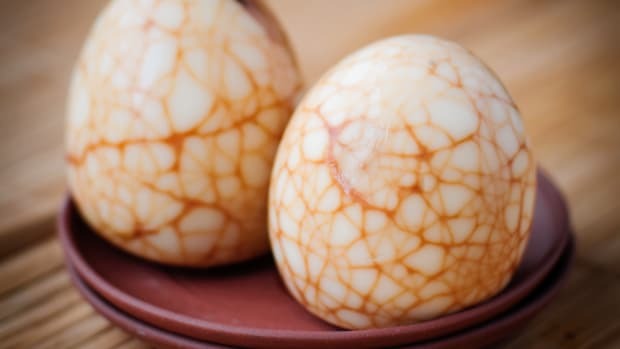 Chicken eggs are, of course, quite useful and likely the most common kind in your kitchen. 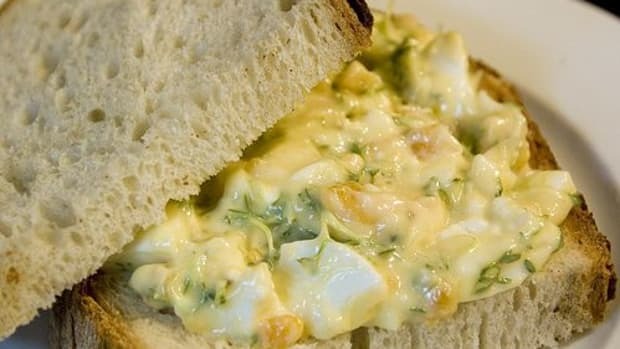 A high-quality local egg, simply hard-boiled, is one of the most delicious ways to enjoy an egg, but all of these eggs benefit from any simple cooking technique, like slow-scrambling. 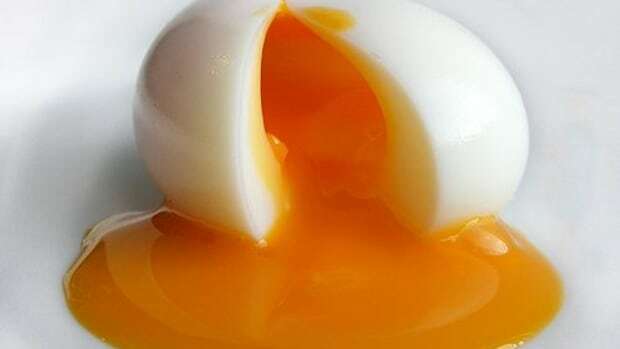 Full of high-quality protein (each egg contains 6.3 grams of protein), eggs are also low in calories at about 68 calories per egg and contain choline -- a key component of cell membranes, especially brain cells and neurotransmitters -- without which our bodies can become deficient in folic acid. An increased consumption of choline has proven to decrease inflammation, which, when it becomes a chronic problem, can lead to heart disease, Alzheimer&apos;s, diabetes and osteoperosis. Eggs also contain lutein and zeaxanthin, two important carotenoids which help protect vision and reduce the risk of developing macular degeneration of the eyes. 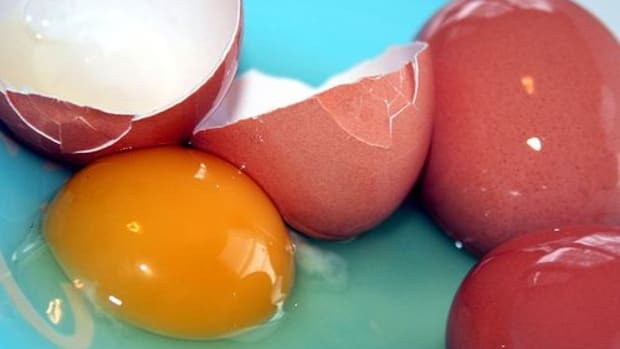 Eggs are high in cholesterol, it&apos;s true, but nutritionists have found in recent years that high blood cholesterol actually comes from the consumption of saturated fat, not from dietary cholesterol. Eating one or two eggs a day is completely reasonable for someone on a healthful diet with regards to cholesterol. On the contrary, eggs are good for your heart and have been proven to help prevent blood clots thanks to the proteins within the yolk. This Easter staple is one of the best and easiest sources of protein, and it&apos;s also one of the most important foods to buy organic. Not only do commercial eggs come from chickens that are fed hormones and chemical feeds, but the egg shell is extremely porous, and everything in the egg&apos;s environment -- chicken droppings and soil filled with chemicals -- can enter the egg itself. Organic eggs come from chickens fed organic feed; these chickens are not necessarily free-range, though free-range chickens are not always fed organic feed. Organic feed, without antibiotics and hormones, is very important when it comes to the quality of the eggs. Free-range is just as important, though. 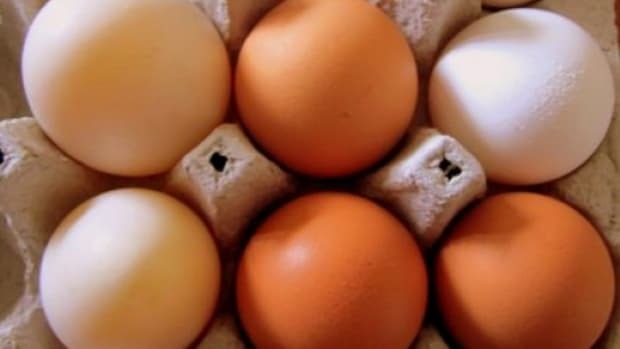 Studies have shown that low-stress environments are critical when it comes to the quality, so be sure to buy eggs with both organic and free-range labels.